Everyone in this world is aware of the fact that River Nile is the world’s longest river and has been also known as the father of all the African rivers. Inspired by this river, Playson has developed an online slot game named Fruits of the Nile which is quite liberal in terms of payouts. This slot game is quite similar to Playson’s another slot game named Fruits of Ra as the symbols and the graphics interface is almost identical to it. This slot’s simplistic graphics is its striking feature since it lets the player to not get deviated apart from the main gameplay and enjoy its wonderful gaming experience. Since it has a vivid gameplay, even the beginners find this slot game quite easy to play and accumulate lots of coins which they can use later to increase their betting amount. The gameplay is quite simple and it is regarded as one of the popular slots when compared to other online gambling options. A Host of Interesting Features – How to Get Started? Playson has designed the slot machine in a classical Egyptian style with a solid backdrop frame. Fruits of the Nile slots run on the 5 reels and 5 pay lines. The symbols incorporated in the reels are supported by the two pillars. The fruity symbols which are present in the slot machine are plums, cherries, grapes, lemons, oranges, and watermelons. Apart from these juicy symbols, this slot machine also boasts the number 7 which is red in color. The wild symbol is denoted by Scarab which can substitute all the symbols apart from the scatter one. This scatter is symbolized by the golden star which can even quadruple the winnings depending on the bet value. Players can adjust the coin size by adjusting the bet value by clicking “Bet” button which ranges from 0.25 to 50. After hitting the “Spin” button the reels get triggered. Players can even select the “Autoplay” option to let the reels spin continuously after selecting the total number of uninterrupted spins. “Max Bet” option also lets the player select the maximum wager value to maximize the earnings. If the player faces any challenge to play the game, s/he can hit the “Paytable” button to know the rules of the game. The UK developed slot game may not be one of the best games to play but it certainly meets the expectations of a standard slot game. The great thing about this slot game is that one can play it with no real money and it comes with the no download option too. This enables every player to play free Fruits of the Nile casino slot machine entirely free of cost. Players also need not deposit any amount of cash to begin the game. This slot game is stacked with plenty features which generate a lot of rewards during the gameplay. Any player who is quite adept in the gambling world would find this online casino slot to be quiet easier to play. The most valued symbol of this slot game pays the maximum coins of 5000 whenever the player is able to land 5 such lucky seven numbers. Even the scatter symbol renders 5x, 10x and 100x wins depending on the number of those symbols appear i.e. either 3, 4 and 5 respectively. This slot game doesn’t come with any progressive jackpot or any such bonus features to help the players to earn excessively. Nevertheless, there is a “Gamble” feature which can even increase the bet amount to 4 times and lets the player gamble till 10 times at a stretch. Although there are no free spins in this slot game, yet the features like Gamble and the rewards a player can garner through the combinations of the symbols along with the rewarding coins that a player receives through the scatter symbols are some of the notable points to look out for. Fruits of the Nile online slot game is surely a worthy try and it would not dishearten the expectations a player come out to earn lots of winnings. The payouts may be average in comparison to many such slot games where there are extra features and some bonus rounds, yet it would not be wrong to say that players indeed love Fruits of the Nile and find it quite interesting to play. Since there is no rollercoaster like experience and it follows a simple formula, it abides by keeping the gaming experience very simple. Players, therefore, seem to enjoy this game for long hours. 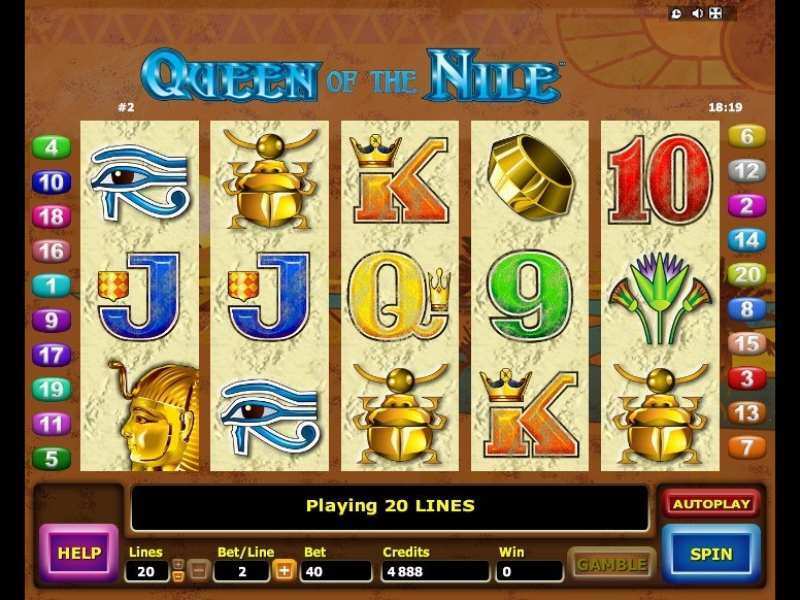 0 responses to "Fruits of The Nile Slot"
1 A Host of Interesting Features – How to Get Started?